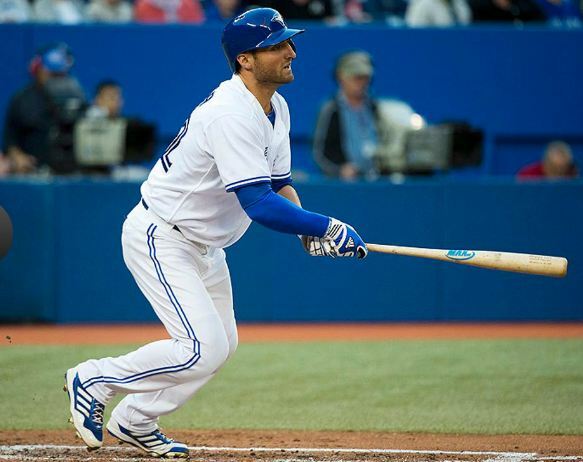 Toronto Blue Jays prospect Kevin Pillar made his MLB debut Wednesday (8/14/2013) in a 4-3 win over the Boston Red Sox. 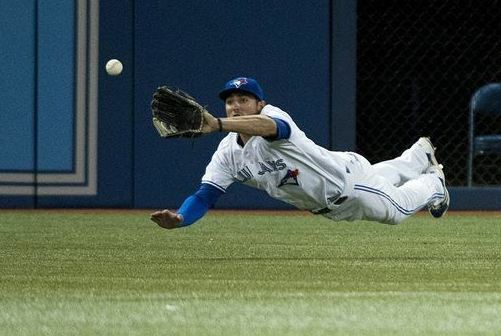 Called up to replace the injured Colby Rasmus on the Jays’ roster, the 24-year-old outfielder was held hitless in four at-bats but impressed with his glove, turning the first line drive he faced into a diving catch that made the nightly highlight reels. Pillar’s ascent through the minors was unusually swift, and surprising. Selected in the 32nd round of the June 2011 draft, he went from rookie league to the Majors in only 2 years and 2 months while maintaining a cumulative .321 average. He split the 2013 season between Toronto’s Double-A and Triple-A teams, hitting a combined .307 with 9 HRs, 6 triples, 39 doubles, 57 RBIs, and 74 runs. His on-base percentage was .353, and his slugging percentage .461. The last Jewish player to breeze as quickly through the minors was pitcher Aaron Poreda, who spent 2 years in the Chicago White Sox’s farm system before making his MLB debut in 2009 but never made it back after that season. A more favorable comparison might be Ryan Braun, who debuted with the Milwaukee Brewers in 2007 after just under 2 years in the minors. Unlike Pillar, both Poreda and Braun were first-round draft picks. Of the 30 amateurs selected in the 32nd round of the 2011 draft, only Pillar has made it to the Majors, and just 16 remain in professional baseball. San Francisco Giants prospect Mike Mergenthaler is the only other player to reach Triple-A so far (see table). Two other Jewish players — Oakland’s Nate Freiman, and Houston’s Josh Zeid — have made their MLB debuts in 2013.